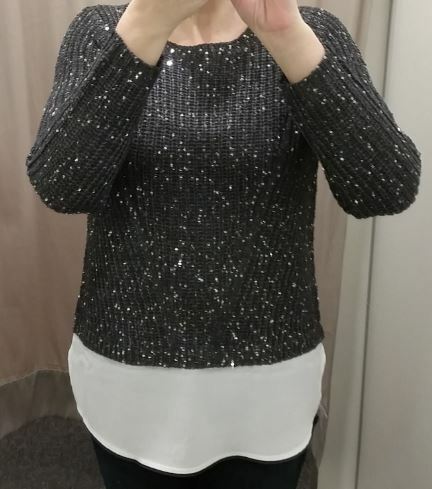 The Long Sleeve Dressy Shirt Hem Sequin Knit is back on sale again at Rockmans for $29.99 as well as many other items. They sent me an SMS this afternoon to let me know nothing was over $40 and the website crashed for a couple of hours as a result.. The jackets are especially good value, many of them selling for $50-60 off RRP and one or two for nearly $90 off.. I might have to head into the local store and pick up a couple of these which are half price and a useful wardrobe item at $9.99. That is an amazing shirt! You look great! Such a lovely sweater and what a bargain! Looks lovely on you.